Fox Point Farms is proud to be one of the largest flower growers in San Diego County. 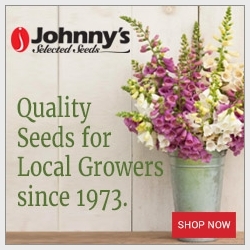 We are counted among the top 75 nursery producers in the United States. Up to 40 flower species are in production at any given time in the 950,000 square feet of the greenhouse space and nearly 35 acres of open field. Fox Point Farms is a whole lot more than your typical wholesaler. The area we have in cut flower production places us in the top 75% of flower and plant growing companies in the United States. Our southern California coastal weather gives us several climatic advantages. These include high winter light for production and quality as well as cool summer temperature that give us strong stems and long lasting flowers. We have a friendly and competent staff with roots in retail floral design that can make excellent floral suggestions to help our customer’s events and arrangements shine. Our customer base consists of: retail flower shops, event planners, free lance designer’s, boutique and specialty markets. We deliver to San Diego, Southern Orange, and Southern Riverside counties for orders of $100 or more. We can also ship nationwide for events or special occasions you may have in another city. We strive to fill your orders from everyday to special event with the freshest most beautiful flowers available. We carry a wide variety of flowers and greens not only from our local farm but from all over the world for your shopping convenience. We have a professional staff that can answer any questions you may have about product performance or seasonality. Call or e-mail us today. We look forward to working together with you to fulfill all your floral needs.